FALL RIVER, Mass. 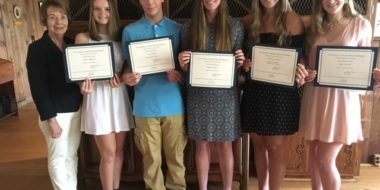 -The Charlton Memorial Hospital Auxiliary, a part of Southcoast Health, recently awarded five $1,000 scholarships to area high school seniors who are pursuing a career in healthcare. 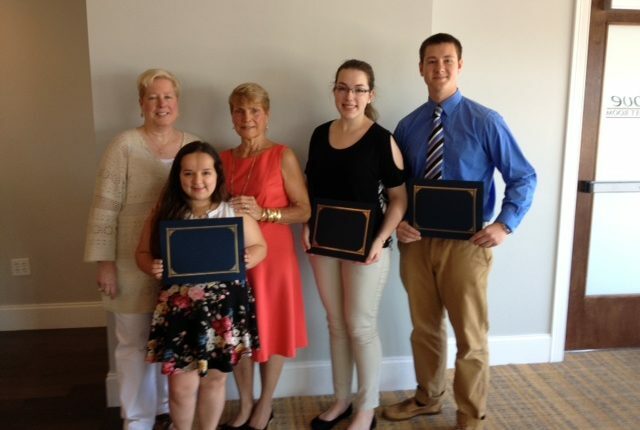 The awards were presented by Karen Long, Scholarship Chair for the Auxiliary of Charlton Memorial Hospital, during a luncheon meeting on June 10 at The Cove Restaurant in Fall River. 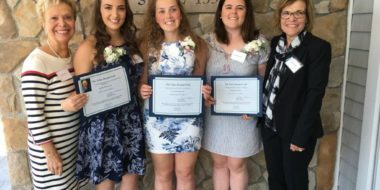 Gretchen Desrosiers, a graduate of Tiverton High School, will begin her studies to become a physician at Curry College. Eric Nemkovich, a graduate of BMC Durfee High School, will enter Massachusetts College of Pharmacy and Health Science with the goal to become a pharmacist. Andrea Oliveira, is a graduate of BMC Durfee High School, will begin her studies to become a registered nurse at the University of Massachusetts Dartmouth. Brittany Pratt, is a graduate of Apponequet Regional High School, will study biology-health sciences at Westfield State University. Brianna Raposa, a graduate of BMC Durfee High School, will begin her studies to become a physician at the University of Pennsylvania. The Auxiliary of Charlton Memorial Hospital, founded in 1956, is a non-profit organization whose purpose is to render service to Charlton Memorial Hospital, its tax-exempt subsidiaries, its patients and to assist in promoting the health and welfare of the community. 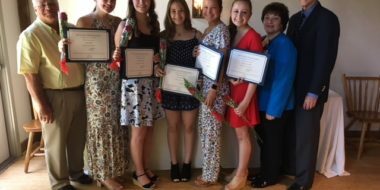 The Auxiliary raises money throughout the year by hosting fundraisers, a spring gala, raffles, and jewelry and apparel sales. Joining the Auxiliary is a great way to become involved in your community hospital. Members serve as ambassadors to the community on behalf of the hospital. For more information or to join, please contact Agatha Saint Amour at 508-973-7472 or by email at sainta@southcoast.org.